“I’ve lived here all my life and there are more bears every year. 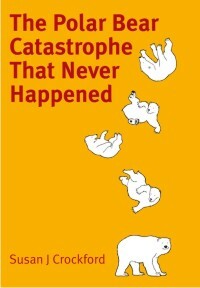 I read stories about polar bears being on the brink of extinction because of global warming, look out of my window and start to laugh.” Tori Sims, Kaktovik (Mail on Sunday, Sept. 28, 2013). As you can see, Kaktovik is in the news again. 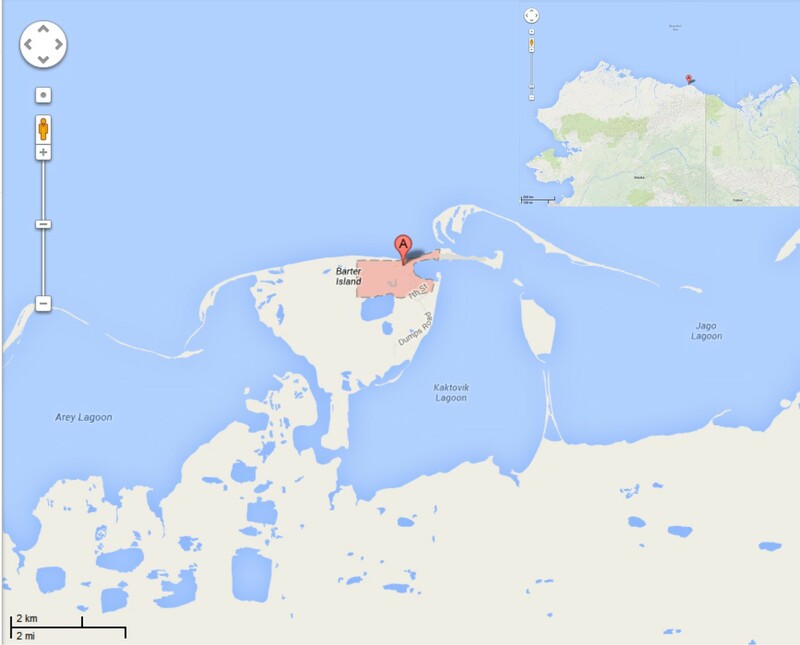 This tiny community sits on the edge of the Beaufort Sea, on Barter Island on the North Slope of Alaska (Fig. 1). 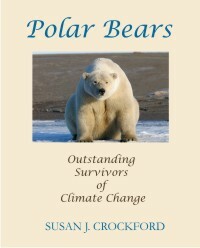 It lies within the Southern Beaufort polar bear subpopulation, which has been classified as “declining” by the IUCN Polar Bear Specialist Group (Obbard et al. 2010). The determination of “declining” was based on a small dip in population numbers between 2001 and 2006 (not statistically significant), plus a decline in body size and condition, and smaller litter sizes documented between 1986 and 2006 (Rode et al. 2010). A new population survey is underway. Figure 1. Kaktovik, Alaska, from Google maps. Click to enlarge. There have been suggestions that bears become “stranded” along the Alaska coast near Kaktovik because of retreating sea ice, and that more bears present in this area in recent years are an indication that they are in trouble due to global warming. 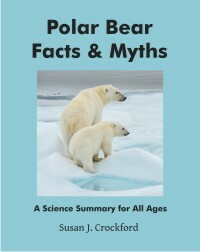 I’ve compiled some quotes, maps, and links to stories, photos and videos about Kaktovik polar bears to show that this claim is false.